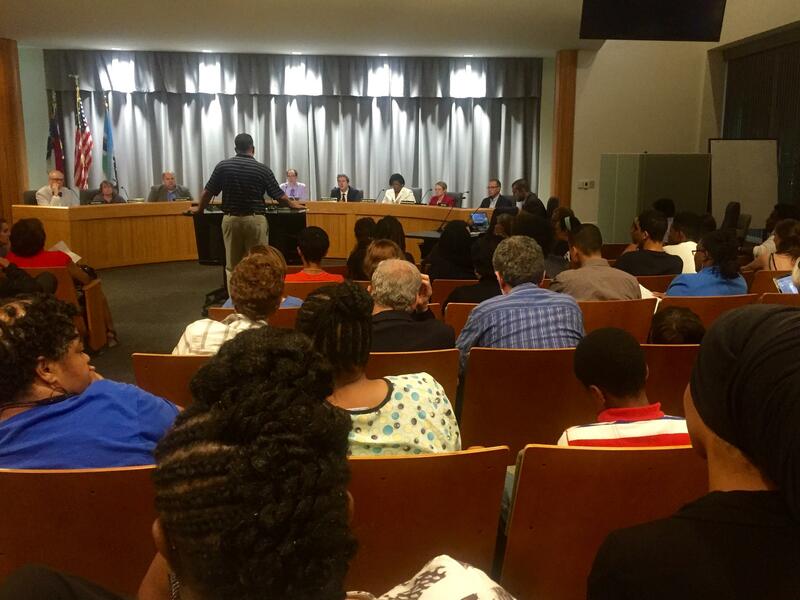 An Instagram photo posted by a teenager was the reason dozens of people showed up to Thursday’s Chapel Hill-Carrboro school board meeting. 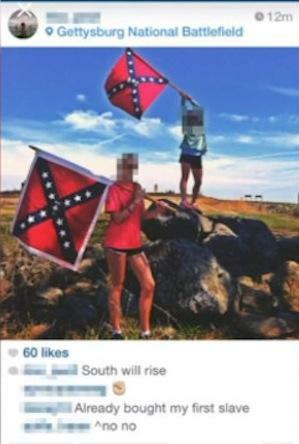 The photo, which has made several headlines, features two girls waving North Carolina regiment flags at a school field trip to Gettysburg. Many say the photo has been interpreted out of context, but for others it speaks to larger issues of racial insensitivity and inequality in the school system and community. Listen to WUNC's Reema Khrais story on the controversial image. A screen shot, shown above, shows the post and comments before they were taken down. Taliana Tudryn, a senior at Carrboro High School, saw the photo not too long after it was posted – a friend passed it along. Tudryn says she was personally offended as a person of color. “…and with people who I love who are people of color to see people who pretend to care about us and to pretend to care about learning about our history, and at the same time they’re so ignorant about it,” she explains. Tudryn shared a lot of those same thoughts during the school board meeting. She got one of the loudest and longest applauses from the crowd. More than 20 people spoke at the podium during a public comment period. Dozens of people showed up at Thursday's school board meeting for Chapel Hill-Carrboro City Schools to denounce the photo and what it represents. Osment says school leaders need to address what she calls a racist legacy. She says they need to support students of color and not teach them a whitewashed version of history. But for a handful of people in the crowd, the entire issue seemed to be blown out of proportion. Especially to Matt Creatore , the brother of the girl who posted the photo. “She had no intention to hurt the black community whatsoever. We are good people,” he says. He says the photo is being taken out of context. The two girls were on a school field trip in Gettysburg, Pennsylvania and held the flags while re-enacting Pickett’s charge; they were the “last two standing” in a class activity. The girl’s father also spoke in her defense, arguing there’s not an uprising over confederate flags featured in school textbooks. They also got the support of Frank McBride. He no longer has kids in the school system, but says he felt compelled to say something. He argues the issue has become a small bonfire. A couple of other people defended the photo, raising the right to free speech. But after all was said and done, the school system’s superintendent, Thomas Forcella, chimed in. He says he’s taking the issue seriously. “Race does involve difficult issues and we need to really look at how often this happens in our schools, in our halls, comments that are made in the our cafeterias and athletic field,” he explains. He says the learning community needs to come together with a vision to create more positive environments. When the public comment period was over Tudryn shared her own recommendations. Tudryn says that kind of history downplays any real discrimination some students may experience. And that it makes it difficult to talk about race – that is until someone decides to post a provocative Instagram photo.